This 3 light vanity highlights frosted glass shades to match transitional dicor. The vanity bar can be mounted up or down to suit your personal style. The fixture is finished in polished chrome which matches most home styles. 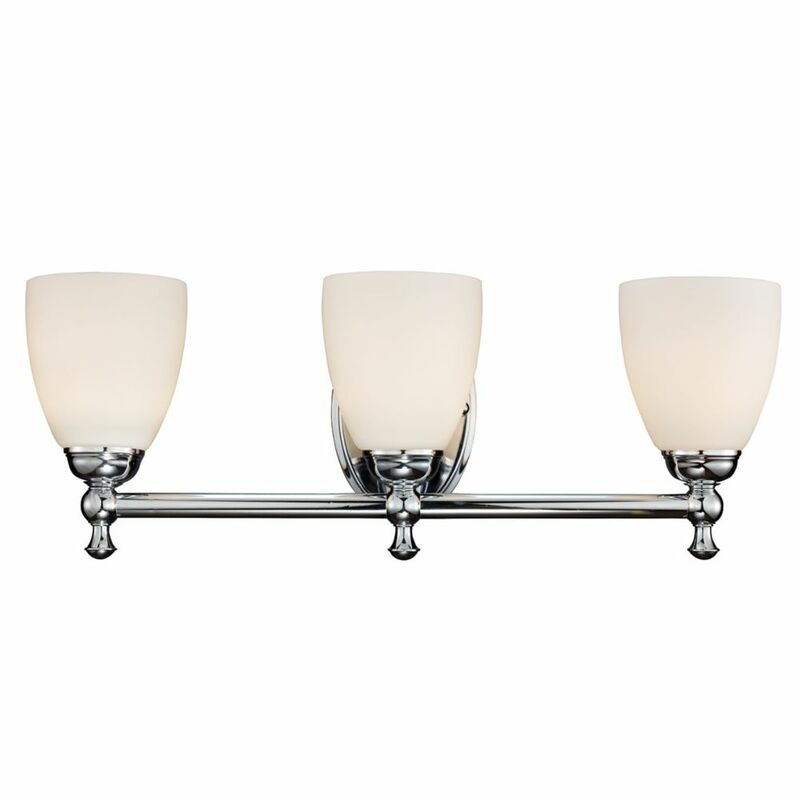 3- Light Polished Chrome Vanity Light This 3 light vanity highlights frosted glass shades to match transitional dicor. The vanity bar can be mounted up or down to suit your personal style. The fixture is finished in polished chrome which matches most home styles.